Photo by Ira Rosenberg [Public domain], via Wikimedia Commons. 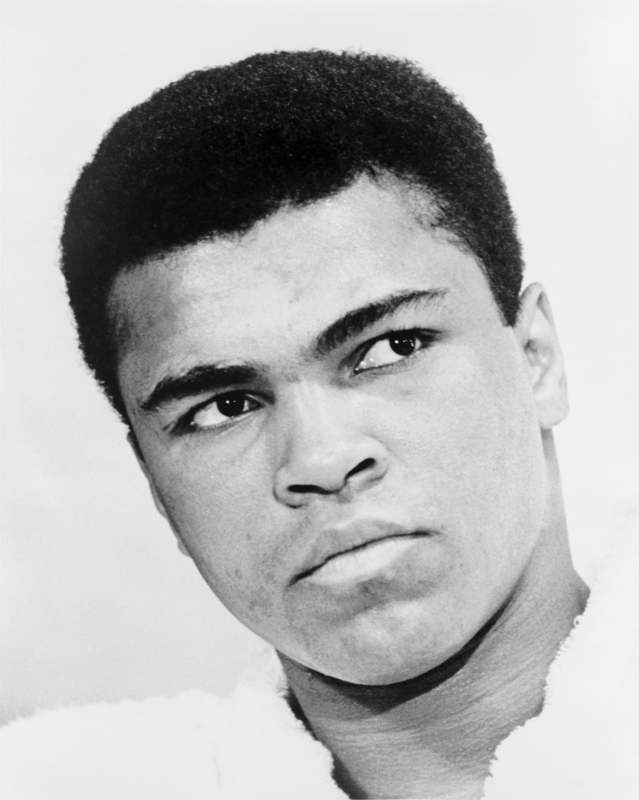 My favourite athlete of all time is Cassius Marcellus Clay, Jr., better known as Muhammad Ali. My fascination with him began when I was nine years old. He had just won the gold medal in boxing, light heavyweight division, at the new Stadio Olimpico at the 1960 Olympics in Rome. He was an instant worldwide star. He was the ultimate boxer, and from what I saw, the ultimate gentleman. I have been thinking about Ali a lot lately. These days it is common to greet each other with “How’s business?” The question is not as casual now as it was a year ago—rather, it is a sincere inquiry into what possible secret could help us weather the current erratic business conditions. In these troubled times, when people ask me “How’s business?”, I think of Ali, because he has influenced how I respond to challenges. It wasn’t just his sheer power that attracted so many; there was something else. He had elegance and quick-witted confidence, yet he never took himself too seriously. Some called him a poet, others a showman. But whatever you called him, the fact is that you were talking about him. I still am, in 2009. We talked about friendship, lucky breaks, and the spectacle of business, and how working with a few friends along the way makes the ride a little easier and more enjoyable (the exchanges between journalist Howard Cosell and Ali, for example, are legendary). I greatly admire Ali for his tenacity despite the injustice that was done to him. Sometimes we can do everything right and still end up being perceived as wrong. I seem to be receiving a few more calls from my banker lately, inviting me out to various breakfast seminars. The most recent was quite interesting. The featured panelists were talking about saying hello when customers enter the store, returning phone calls within the hour, and finding opportunities beyond your core business to more closely align your efforts with the needs of your customers. I found this intriguing, since this is what I have done, as an entrepreneur, for over three decades already. I guess for some this kind of economic adjustment is new, a repeat experience for others. For me, it is part of life’s cycle. Things change, but they stay the same. This is a time to see where things need to be refined, discarded, or nurtured. Howard Cosell famously broadcast a personal message to Ali on his 50th birthday: “You are exactly who you said you are. You never wavered. You are free to be who you want to be.” In times such as these, I believe that is a message we can all embrace.